Along with the recent expansion of the model range of processors for Socket FM2+, AMD offered a new regular system of cooling of chips of different platforms. The most effective cooler AMD Wraith will be offered complete with a AMD FX-8370. Look what you can now expect from a boxed cooler. 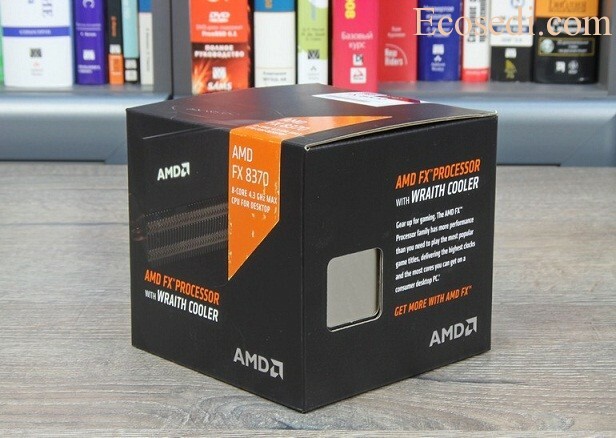 Processors AMD FX series need no further introduction. The 8-core model FX-8370 c computational blocks Piledriver is nominally an older version of family. The chip is clocked with a frequency formula 4,0/4,3 GHz, the total capacity of the cache memory is 16 MB and the thermal package (TDP) stated at the level of 125 watts. CPU FX-8370 was introduced in the fall of 2014, because in terms of performance an updated version doesn’t bring anything new. For those interested, I offer some screenshots with results in popular tests, but increasingly now we are interested in the original cooling system.